from the youth to the professional. The Penang Harpers is a young harp ensemble formed in 2014, consisting of young members from the Penang Island Harp community of Malaysia. Directed by Katryna Tan (also Director of Singapore Rave Harpers Harp Ensemble), the very young ensemble has shown great growth in just a short time. They have performed in Orient of the Harp 2014 and 2015. The young group was also invited to perform at “Harp Au Max” – Ancenis International Harp Festival 2016 and gave wonderful performances to a standing ovation crowd. They also represented Malaysia in the World Harp Congress 2017, Hong Kong Asian Highlight Program. Cempaka Harp Ensemble started in the year 2002 in line with CPAC’s (Cempaka Performing Arts Company) HARP Program. The CPAC Harp Programme caters to Grou pLessons as well as one-to-one lessons. Students in the the ensemble had opportunities to be involved in Harp Festivals, Workshops, Masterclasses and concerts each year. They have performed in Singapore, Penang, Hong Kong, and in France. 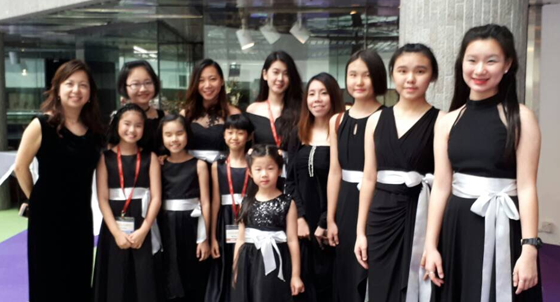 The Harp program is directed by Ms Dan Siew Yee and Cempaka Harp Program Advisor, Katryna Tan with an experienced team of Harp Instructors. During their time in the Rave Harps studio, these harpists trained together as an ensemble and had the opportunity to perform in international events like the World Harp Congress (Sydney in 2014 and Vancouver in 2011), 40th Ancenis International Harp Festival (France, 2012), Harp of the Orient (Malaysia, 2014) and ChildAid (Singapore, 2009). 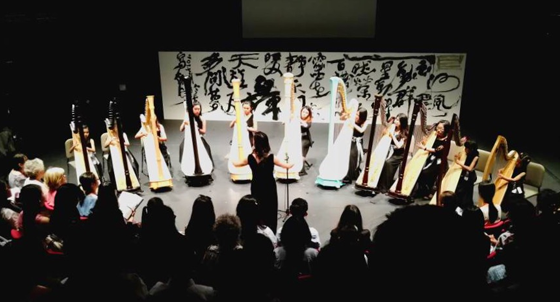 Their biggest project yet is the World Premiere of PLUCK, the harp musical at the Singapore Harp Festival (2013), which was a visual spectacle of drama, song and entertaining harp repertoire. 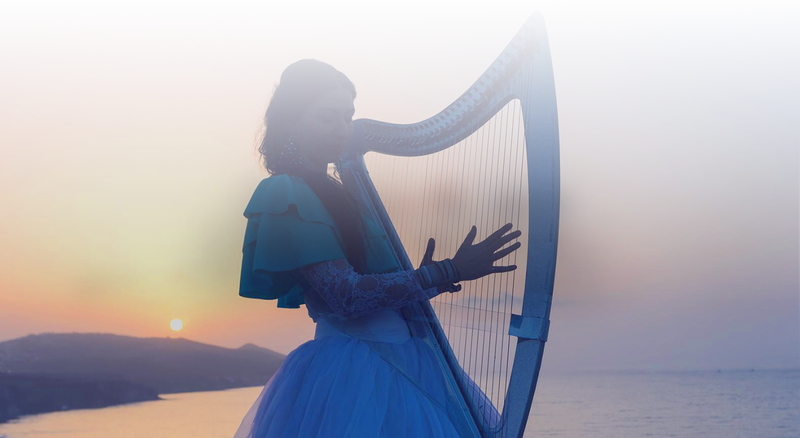 Viva Rave is passionate about displaying the versatility of the harp by playing works that pushes the boundaries of conventional harp techniques. In addition, Viva Rave commissions works by local composers such as Eric Watson, Joyce Beetuan Koh and Phang Kok Jun. These works have been performed locally and abroad and were well received by audiences. Viva Rave aspires to continue performing such works overseas so as to exhibit ‘Singaporean’ music to international audiences. Amongst the ensemble are also talented members who also compose and arrange harp ensemble music and continues to develop Harp Ensemble repertoire. Most recently, they celebrated the 50th birthday of Singapore by leading an ensemble of 50 harpists to perform at the 2015 Singapore Harp Festival. The group had also won a prestigious second place in the 2015 International ENGKOR Chamber competition for professional and graduate school chamber groups. The seniors who have no prior music background, learnt to play the harp under he guidance of harpist Katryna Tan. They aim to share music with the community and inspire others to enjoy life and music. The seniors have performed at community events such as “Arts in Eldercare Seminar 2018” at Tampines Hub, “Silver Arts 2017” @ Singapore National Library, and most recently in the Tan Tock Seng “The Art of Healing” Program.